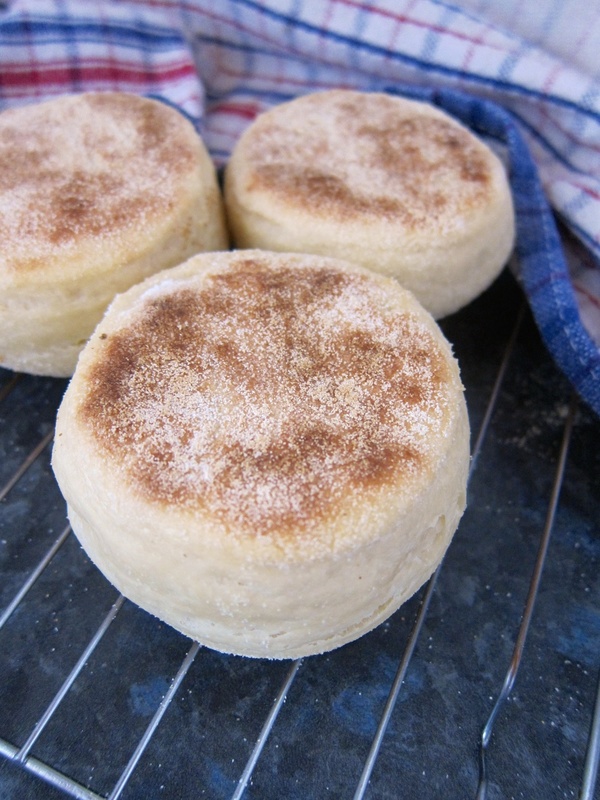 Old-fashioned muffins (the savoury kind) are a bit of a lost delicacy. 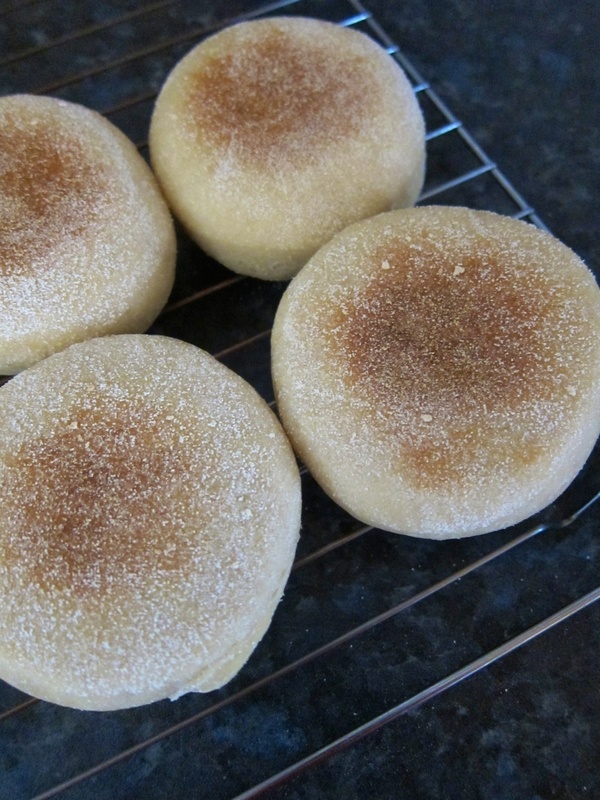 Known to everyone outside the United Kingdom as English muffins, these small and round yeast-leavened breads are an adaptable breakfast favourite that satisfy all tastes - from the simplest of embellishments in butter and jam, to bookending a convenient and portable bacon and egg sandwich, or sitting beneath a lavish eggs Benedict. Delia instructs that "the correct way to eat them is just to pull them apart without cutting and insert a lot of butter", and it's certainly hard to argue with such an approach when confronted with the right soft-yet-crisp doughy delight. I had a hankering but also a bit of a problem. 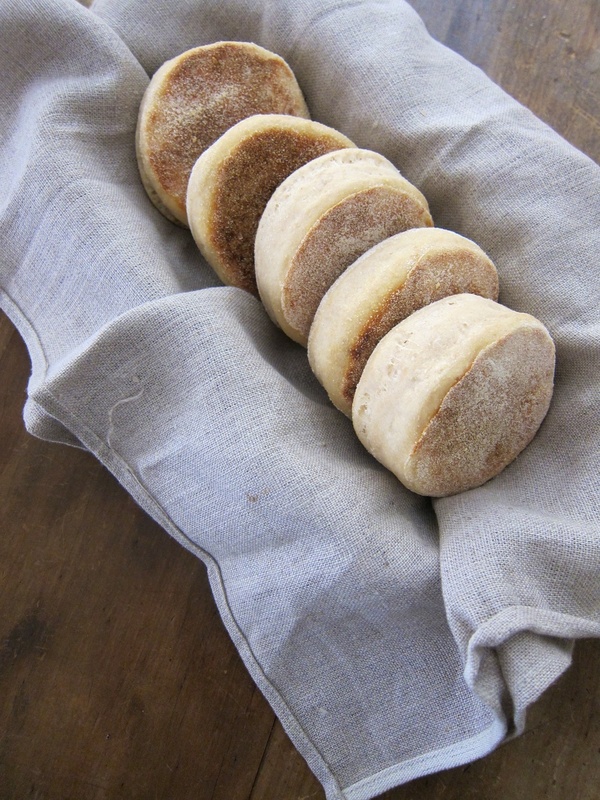 You see, being myself guilty of a bit of muffinist neglect, I had yet to appoint a go-to recipe for the perfect plain bread muffin. 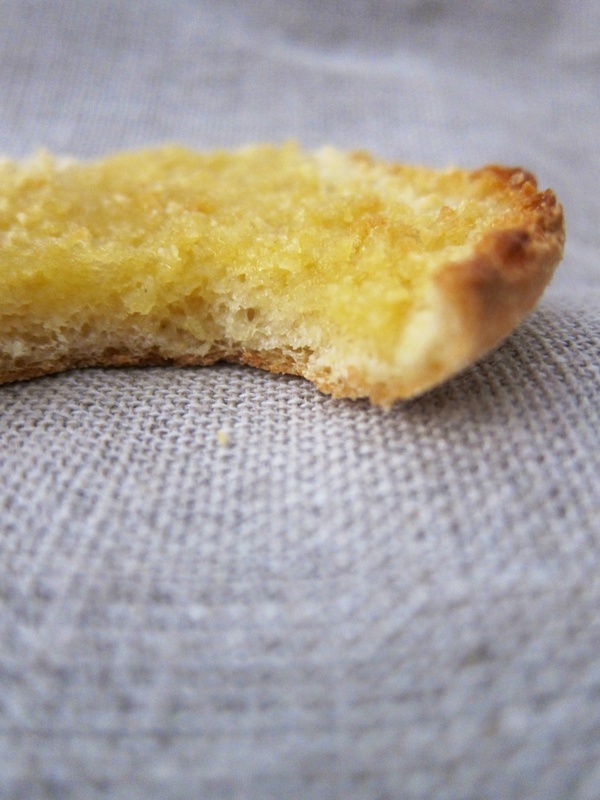 As such the search was on, and with some fairly strict prerequisites - unadulterated, a good muffin needs to have a crisp exterior, and a moist, sour centre that is generously littered with holes. Once toasted, it should turn into a chewy landscape of crisp, craggy peaks and deep pools, that can collect runny yolks and fill with the golden run-off from liberal lashings of butter. Three very different recipes were selected based on the variety of ingredients, and time and ease of the preparatory method. 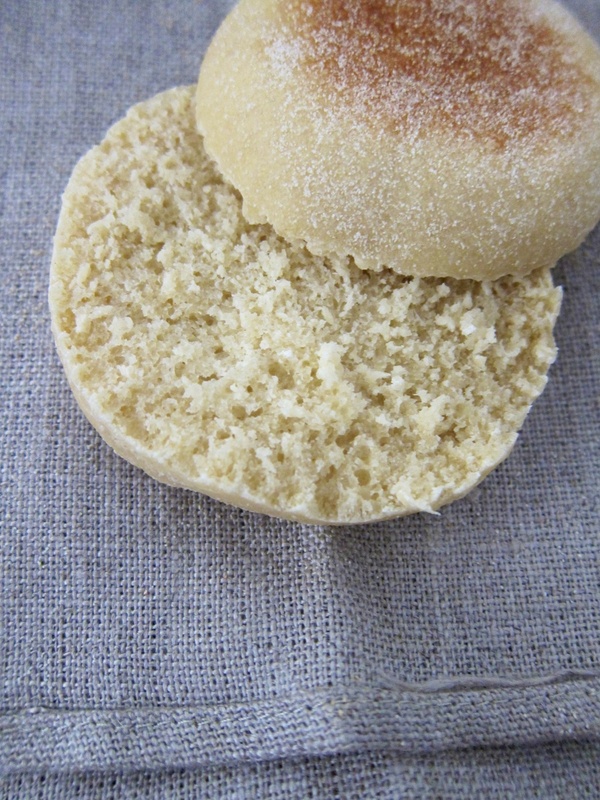 The English muffins from River Cottage Handbook No.3 were ready in a day, needing just two proving steps between kneading and shaping. 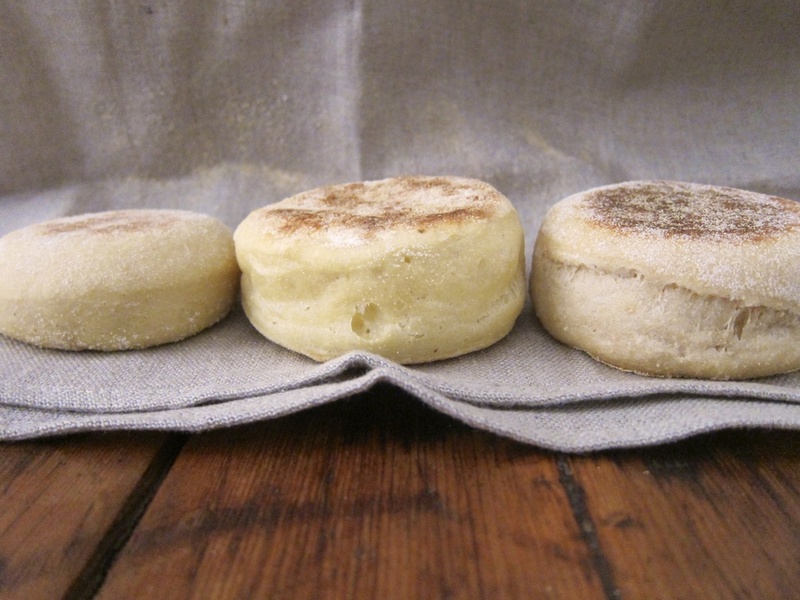 In contrast, both Dan Lepard's cider vinegar muffins (from Short & Sweet) and Wild Yeast's sourdough English muffins had overnight steps, although not a great deal of hands-on time in between. Using fast-acting yeast with cider vinegar and yoghurt for added sourness, Dan's recipe took the longest in that two lengthy proves were required the day after mixing, but it did have very quick transitions when it came to the folding and shaping steps. Wild Yeast's, on the other hand, needed a good 10-15 minutes of kneading (by hand) the morning after, but had just one proving step and made good use of "discarded" starter. The River Cottage muffins were fine, albeit rather diminutive (all doughs were initially cut to the same size), but in essence were nothing more than small breads cooked on the griddle and so did little beyond serving as a nice vessel for the flavours atop. 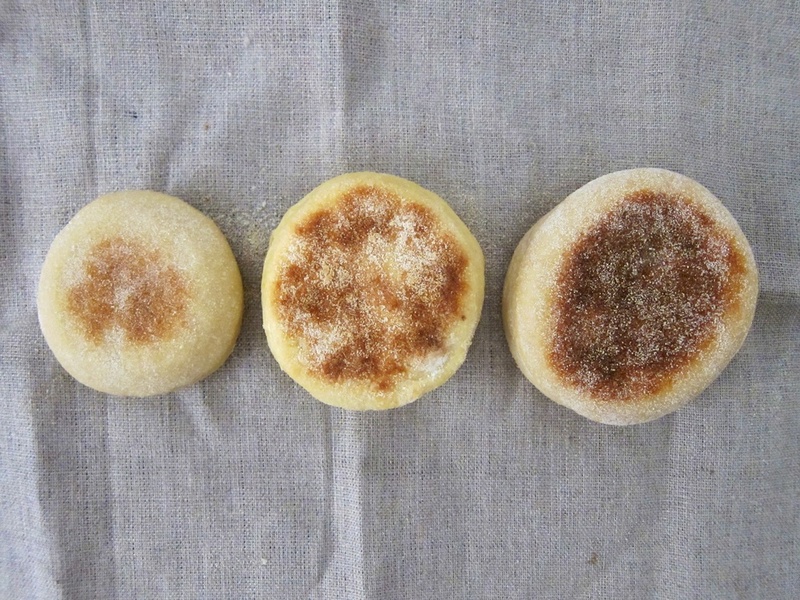 Dan's cider vinegar muffins, in comparison, were spectacularly fluffy, and had bases that went fantastically crisp when toasted. The subtle tang was definitely there and I'd wager these would be hard to beat as the foundation-of-choice for that rich, oozy egg. But for me the winner by far was the sourdough muffin. Big on flavour they were perfect with butter alone; the sweet earthiness of wholemeal followed closely by the sharp zest of mature sourdough. They had the best rise and crusted over beautifully, and the centre not only had the makings of deep pools but also a subtle chewiness that really set them apart once toasted. That they make use of excess ripe starter is an added bonus, and so long as you remember to get started the night before they're probably the least time-intensive overall. I'd concur with the majority, who regard the fork as being the best way to split an English muffin, and prefer mine toasted, with lashings of butter and jam. 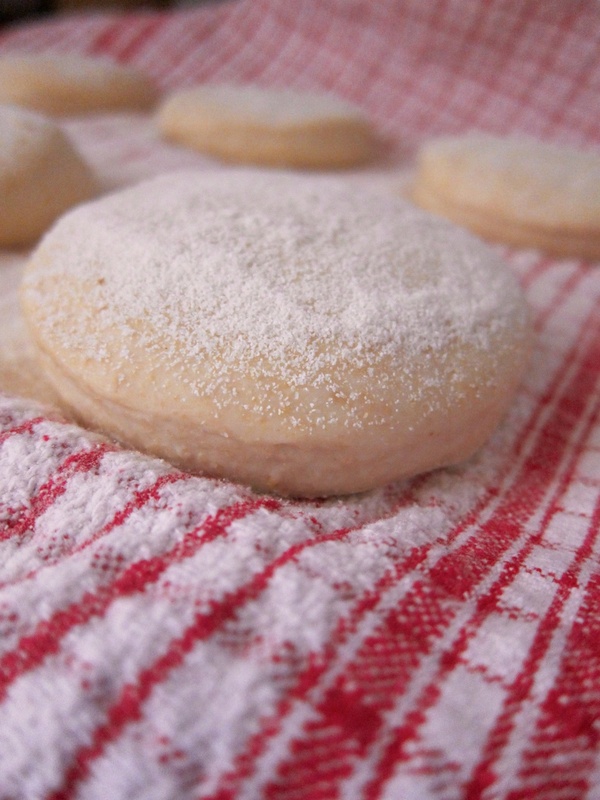 Very few alterations were made in regard to the originals, so I will not be reprinting any recipes this week. 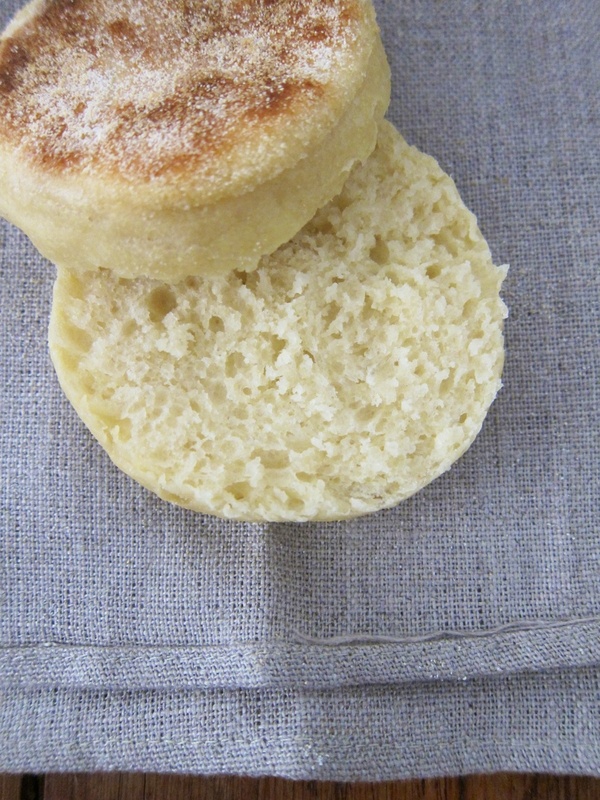 If you'd like to have a go at making your own English muffins you can find Dan's recipe in his book, Short & Sweet, or online here; and Wild Yeast's sourdough English muffin recipe here.